How can you not root for Syracuse, New York? Syracuse is at the early stages of proving the American Dream. It's a dream where Syracuse becomes a growing city, enabled by technology and data. A city where everyone has equal opportunity to reach their full potential.Achieving that vision will take hard work from many people and it won't happen overnight. As Syracuse Mayor Ben Walsh pointed out in his state of the city address this week, "For decades we have been losing population, losing jobs and, for some, losing faith in our collective future." But recent investments and changes are setting the city on a different path. Mayor Walsh pointed out that they have begun to take significant steps toward realizing that vision. They have addressed some immediate needs and their progress was noticed by New York Governor Andrew Cuomo who recently talked about the "resurgence" occurring in Syracuse. The resurgence is being driven by a data-driven culture, displayed best by the newly created Office of Accountability, Performance and Innovation (API), and by the Syracuse Surge, an initiative to ensure that Syracuse is a leader in the Fourth Industrial Revolution, which is driven by the Internet, connectivity, and other new technologies. 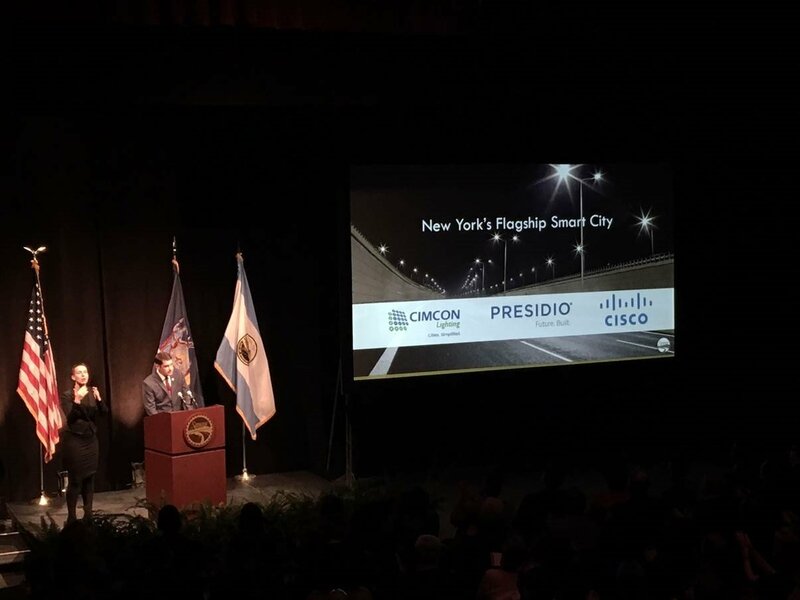 Better lighting for first responders - "we'll be able to control the brightness of the lights"
Mayor Walsh pointed out that longer term, the upgraded streetlight infrastructure, with CIMCON's intelligent lighting controllers and the NearSky smart city platform provides "us with a platform to achieve our vision." And an element of that vision is to be New York's flagship smart city to create a model for economic development and public services for the rest of the region. CIMCON Lighting is proud to be part of this success story in the making. It's impossible not to root for Mayor Walsh, his API team and the citizens and business leaders of Syracuse, New York. Syracuse Surge! Learn how the NearSky smart city platform allows municipalities to collect and analyze more traffic data so that they can reduce congestion, improve public safety and attract more residents and businesses. ©2018 CIMCON Lighting, Inc. All Rights Reserved.